Good Morning Crafters, It's Monday and I have a very quiet week ahead so I have the chance to get some crafting and blogging done in advance. I have recently decided to start a planner, something I've never done before! 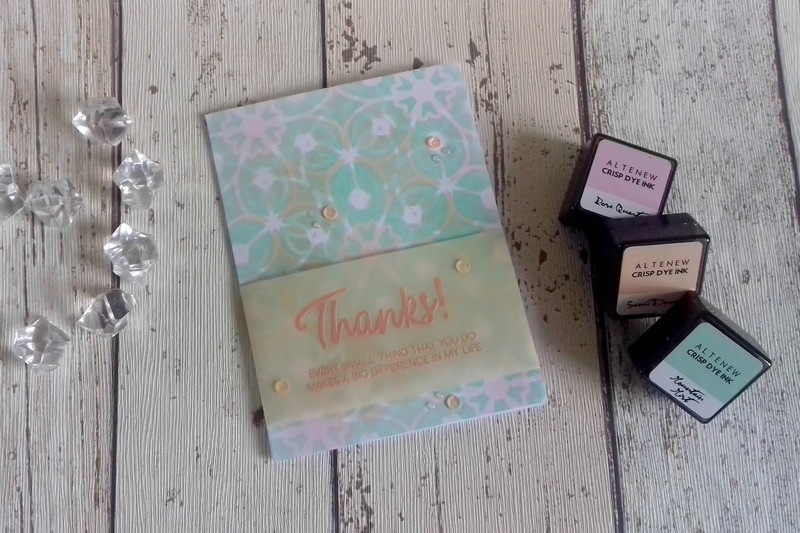 I am going tobe using Altenew products and sharing my journey with you here but also on a new Instagram account; https://www.instagram.com/altenew_planner_girl/ search @altenew_planner_girl and follw my progress. Well enough about that let jump right into a new project. 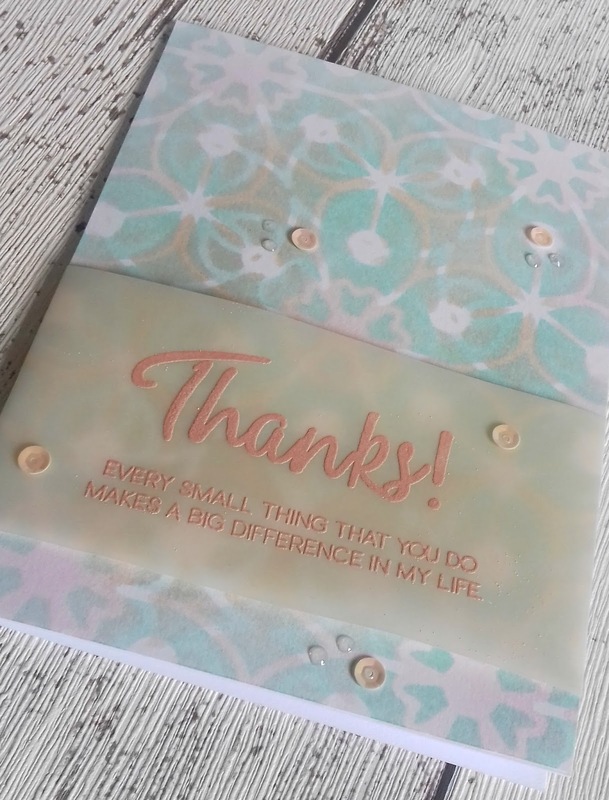 I made this card yesterday using lot's of my Altenew stash. 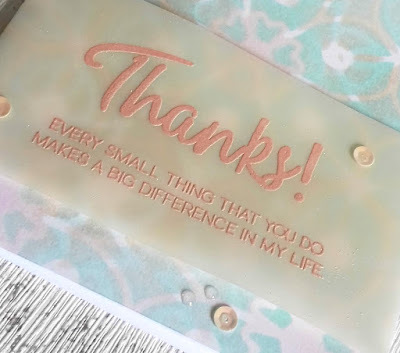 I started by using layered medallion a and applying rose quartz and sand dunes ink, I then added the b stencil and applied mountain mist ink. I cut some peach vellum and heat embossed my sentiments from the 2 stamp sets linked above. I love this embossing powder as it is so fine it melts quickly not buckling your card/paper. It also has a stunning metallic sheen. I decided to add some peach sequins and Nuvo drops to embellish.